Vietnam is undeniably one of the melting pots for ESL teachers who are looking to make a career in a foreign land. Low cost of living, great food, amazing destination to travel, warm and such welcoming culture, these are only a few reasons to move to Vietnam and refresh your teaching career. You probably won’t believe me if I tell you that hundreds if not, thousands of expats are coming to Vietnam every year to teach English. Even though the demand is skyrocketing, there are loads of mistakes that they do and still doing. So, here, from someone who has taught English in Vietnam will tell you what you need to know before signing a contract with someone who offered you a teaching job here or before you book your one-way ticket. HOW MUCH IS THE SALARY OF AN ENGLISH TEACHER IN VIETNAM? 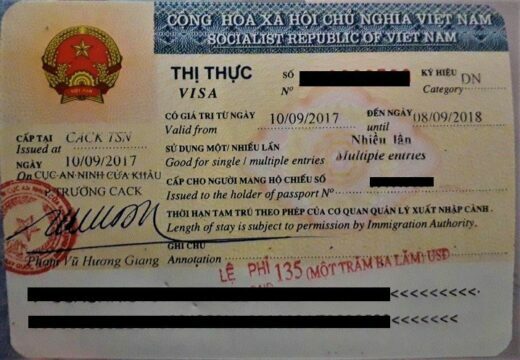 FIND A JOB BEFORE COMING TO VIETNAM OR APPLY FOR A JOB WHEN YOU GET TO VIETNAM? HOW TO FIND AN ESL JOB IN VIETNAM? Vietnam is one of the countries with the highest demand for English teachers, which is good. It means that if locals speak English, the country can attract more tourists, businesses from different countries, more jobs for the locals, and competitive economic growth. Most of these schools are in favour of native English speakers which is perfectly reasonable if they are very strict with the pronunciation that their students should learn. But at the same time, being a white person can get the job easily too – I know it’s hard to get yourself around that fact, but it is indeed a fact. This means if you are either native English speaker or a white-skinned person or Caucasian, you can get that job. Non-native English speakers and not white will have a little challenge in finding the job the job they are hoping for but still possible. If you are more than qualified, you should look into bigger companies and international schools, they are more professional and are more interested in your experiences and qualifications. 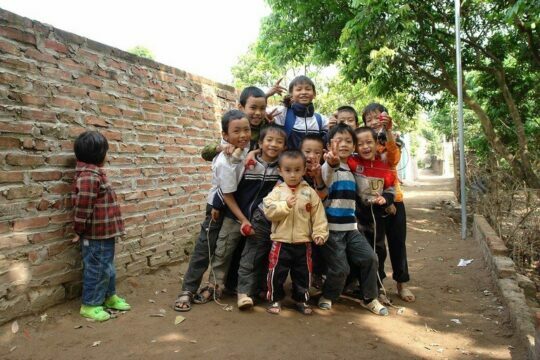 Racism in Vietnam in the field of ESL teaching is widely spread. People of colour are having a harder time to get an ESL job simply because of their skin colour or accent despite of their years of experience in this field. If you were offered way less rate simple because you are not Caucasian but you know that you are a qualified one, don't accept or sign the contract. There are jobs and students who and that are willing to pay you rightly, know your value. If all aspiring ESL teacher coming to Vietnam will fight this massive race issue through rejecting low paid jobs, at some point, hopefully, Vietnam will see everyone's value equally. It is true if I tell you that work experience is not very much a requirement if you decide to teach English in Vietnam. This is sad in all levels, despite the cry out of the expat community for the Vietnamese schools to raise their standard in hiring a teacher, the demand is just too high to take this subject on top of the discussion. However, there are schools with high standards who are strict in hiring ESL teachers in Vietnam. They require certain experiences and they always take the legal path. You won’t believe how many English teachers come here and work on a tourist visa. This is, in fact, illegal, if you plan to work here, you need to secure a business visa and/or a work permit. Working on a tourist permit or on illegal documents will result in serious trouble such as deportation and entry ban in the country. If the school let you work on a tourist visa, this is a red flag and a sign of unprofessionalism. They are more likely to screw you over at some point. For example, not paying you in time for your last paycheck when you quit the job or simply fire you without any acceptable reason. They can also use this against you as you cannot ask for a legal help regarding this matter. GET YOUR TOURIST VISA NOW - IT TAKES ONLY A FEW HOURS! TIP: Look for schools who will check not only your accent, physical appearance, but also who will require you to have an experience in teaching, a teaching certificate, a bachelor’s/master’s degree. These schools are more serious in the business, who is also concern with the quality of teaching they provide to their students. Some schools will ask you to do a demo lesson at least for a minimum of 30-minutes, some demos are paid whilst the others are not. Remember to ask this before agreeing to perform one. Be aware that some schools invite a lot of aspiring English teachers and require a demo for free. While the truth is they basically get different teachers to teach their student without paying anything while they make money from it (because those students pay for a class). Salary is quite attractive in Vietnam, the pay ranges between $15-$25 per hour whereas a full-time teacher works at least 20 hours a week, some work for 40 hours a week. If you prefer to work as a private tutor too, this is less hassle but the pay varies. The rate also varies depending on your location, suburbans pay a little less but provide accommodation. Smaller cities and towns also pay less. There are some schools that will hire you and start the pay in $18 with a chance of a raise depending on your performance. Always double check your contract before signing. If you want a sneak peak about the budget for moving to Vietnam, you can read it here. There are a few schools or agencies who will offer you a free accommodation or transportation allowance. Based on the stories I heard, it’s mostly a hit and miss, you can be offered a decent accommodation or a crappy one. Housing is relatively cheap in Vietnam, therefore, I suggest you find your own instead. While transportation in Vietnam is cheap too, you won't have problem getting around. If you need a suggestion for a hostel in Vietnam while looking for an apartment, check our recommendation list. This is a very common question from aspiring English teachers in Vietnam. In my personal experience, I only start finding a teaching job when I arrived in Vietnam, this made all my interviews, demo lessons, and even getting tips from English teachers a lot more convenient. My friend started applying for a possible job before moving here, he scheduled interviews and demos beforehand and did it right away after he arrived. Personally, I won’t accept an ESL job unless I’m in Vietnam, this is to avoid scams too but it's a personal choice. I know many teachers who accepted job offers before arriving and it went well. This is surely one of questions that bothers you a lot. Apart from searching online, the most effective way in finding an English teaching job in Vietnam is to join Facebook groups depending on your location. You will observe that there are job offers popping up almost everyday. You can also upload your job posting, CV, contact details, and what you are looking for, ESL schools and centres will reach out to you. If you receive an offer but in doubt if this is legitimate or not, ask the expat groups, even they can be rude, a lot of them are still helpful. Once you have found a teaching job and signed a contract, there are a lot of things that you still need to prepare. One of them is to pack the right work clothes. The dress code for teaching in Vietnam is not a lot different in other parts of the world. You are expected to dress at least semi-formal. Depending on where you will be living and teaching, some schools have AC while others don't. If you will be in the north, pack a good semi-formal jacket as it can be cold during winter, while the in the south, make sure you pack comfortable clothes, the humid can be very irritating. Some schools allow a casual get up once a week, it's best to ask your school coordinator about the proper dress code when teaching. Some days, casual jeans and a shirt is allowed but its best to ask your school coordinator to explain to you the dress code. The most important things to remember are; demand for ESL job, visa options, working experience, educational background, TEFL/TESOL/CELTA certificate, English centre vs Public School, salary, and job requirements. These are the things you need to know before you decide on teaching English in Vietnam or hopping on a plane heading to Vietnam or worse committing and signing to a job contract. If you have any questions, leave it on the comment section and we will do our best to answer it.